Matt Kenseth has to like his position in the Chase for the NASCAR Sprint Cup. Not only is he seventh on the Chase Grid, 11 points ahead of Austin Dillon on the cutoff line, he’s also the two-time defending winner at New Hampshire and the defending victor at Dover. 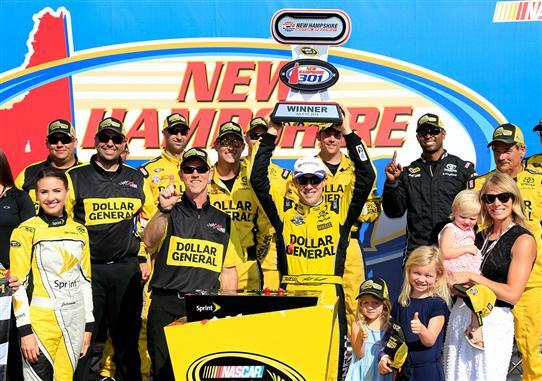 For his career, Kenseth claims three wins, nine top-five and 18 top-10 finishes in 33 starts at New Hampshire. He’s figured out The Magic Mile in his last six starts there, recording finishes of first (2016, summer), first (2015, fall), sixth (2015, summer), 21st (2014, fall), fourth (2014, summer) and first (2013, fall).